1) Which of the following is a major task of test planning? C)Evaluating exit criteria and reporting. 2) Which of the following statements is MOST OFTEN true? A)Source-code inspections are often used in component testing. B)Component testing searches for defects in programs that are separately testable. C)Component testing is an important part of user acceptance testing. D)Component testing aims to expose problems in the interactions between software and hardware components. An employee has £4000 of salary tax-free. 4) Which of the following will NOT be detected by static analysis? 5) Which of the following test activities can be automated? 6) Which of the following is an objective of a pilot project for the introduction of a testing tool? A)Evaluate testers’ competence to use the tool. B)Complete the testing of a key project. C)Assess whether the benefits will be achieved at reasonable cost. D)Discover what the requirements for the tool are. 7) What is the MAIN purpose of a Master Test Plan? A)To communicate how incidents will be managed. B)To communicate how testing will be performed. C)To produce a test schedule. D)To produce a work breakdown structure. 8) In a REACTIVE approach to testing when would you expect the bulk of the test design work to be begun? A)After the software or system has been produced. 9) What is the objective of debugging? iv.To increase the range of testing. A)A-Insure, 10% discount,B-Insure, no discount. D)A-Insure,no discount,B-Insure with 10% discount. 11) Which of the following are valid objectives for testing? i.Elaborate and describe test cases in detail by using test design techniques. ii.Specify the order of test case execution. iii.Analyse requirements and specifications to determine test conditions. A)To determine the programming effort needed to make the changes. B)To determine what proportion of the changes need to be tested. C)To determine how much the planned changes will affect users. D)To determine how the existing system may be affected by changes. 14) Which of the following requirements would be tested by a functional system test? B)The system must perform adequately for up to 30 users. C)The system must allow a user to amend the address of a customer. D)The system must allow 12,000 new customers per year. 16) Which of the following defines the sequence in which tests should be executed? A)A, B, E, B, C, F, D.
B)A, B, E, B, C, F, F.
C)A, B, E, B, C, D.
D)A, B, C, F, F, D.
A)A-Don’t offer any upgrade,B-Don’t offer any upgrade. B)A-Don’t offer any upgrade,B-Offer upgrade to Business class. C)A-Offer upgrade to First,B-Don’t offer any upgrade. D)A-Offer upgrade to First,B-Offer upgrade to Business class. 19) During which fundamental test process activity do we determine if MORE tests are needed? 20) What is the difference between a project risk and a product risk? that surround the project’s capability to deliver its objectives. D)Project risks are risks that delivered software will not work; product risks are typically related to supplier issues, organizational factors and technical issues. 21) Given the following specification, which of the following values for age are in the SAME equivalence partition? 23) Which of the following is a benefit of independent testing? A)Code cannot be released into production until independent testing is complete. B)Testing is isolated from development. C)Developers do not have to take as much responsibility for quality. D)Independent testers see other and different defects, and are unbiased. 24) Which of the following tools is most likely to contain a comparator? 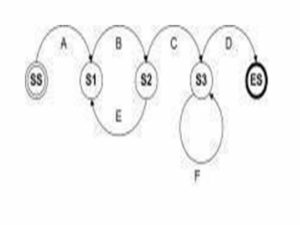 26) Which of the following is a characteristic of good testing in any life cycle model? A)All document reviews involve the development team. B)Some,but not all,development activities have corresponding test activities. C)Each test level has test objectives specific to that level. D)Analysis and design of tests begins as soon as development is complete. 27) Which activity in the fundamental test process includes evaluation of the testability of the requirements and system? i.information about how the software is constructed. ii.models of the system,software or components. iii.analysis of the test basis documentation. iv.analysis of the internal structure of the components. 29) What is typically the MOST important reason to use risk to drive testing efforts? A)Because testing everything is not feasible. B)Because risk-based testing is the most efficient approach to finding bugs. C)Because risk-based testing is the most effective way to show value. D)Because software is inherently risky. 30) Which of the following defines the scope of maintenance testing? A)The coverage of the current regression pack. B)The size and risk of any change(s) to the system. C)The time since the last change was made to the system. D)Defects found at the last regression test run. 31) Which is the MOST important advantage of independence in testing? A)An independent tester may find defects more quickly than the person who wrote the software. D)An independent tester may be more effective at finding defects missed by the person who wrote the software. 32) For testing, which of the options below best represents the main concerns of Configuration Management? vi.All items of testware are related to each other and to development items. 33) Which of the following would be a valid measure of test progress? B)Total number of defects in the product. C)Number of test cases not yet executed. D)Effort required to fix all defects. 35) In which of the following orders would the phases of a formal review usually occur? A)Planning, preparation, kick off, meeting, rework, follow up. B)Kick off, planning, preparation, meeting, rework, follow up. C)Preparation, planning, kick off, meeting, rework, follow up. D)Planning, kick off, preparation, meeting, rework, follow up. 36) Which of the following are valid objectives for incident reports? ii.Provide ideas for test process improvement. iii.Provide a vehicle for assessing tester competence. 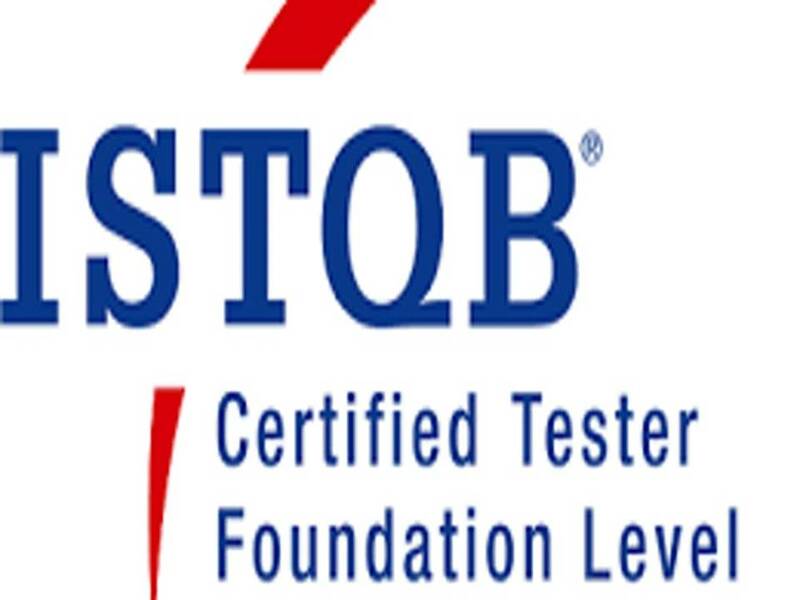 iv.Provide testers with a means of tracking the quality of the system under test. 37) Consider the following techniques. Which are static and which are dynamic techniques? A)i-iv are static,v-vi are dynamic. B)iii and vi are static,i,ii,iv and v are dynamic. C)ii,iii and vi are static,i,iv and v are dynamic. D)vi is static,i-v are dynamic. 38) Why are static testing and dynamic testing described as complementary? A)Because they share the aim of identifying defects and find the same types of defect. B)Because they have different aims and differ in the types of defect they find. C)Because they have different aims but find the same types of defect. D)Because they share the aim of identifying defects but differ in the types of defect they find. 39) Which of the following are disadvantages of capturing tests by recording the actions of a manual tester? i.The script may be unstable when unexpected events occur. ii.Data for a number of similar tests is automatically stored separately from the script. iii.Expected results must be added to the captured script. iv.The captured script documents the exact inputs entered by the tester. 40) Which of the following is determined by the level of product risk identified? B)Scope for the use of test automation. C)Size of the test team.